How many times have we heard these statements... "We can't compete with the megachurch in our town!" "A new church was started two blocks from us. We've got plenty of churches without them!" "The church brought another one of their campuses near us. It's totally unethical what they are doing." "We can't reach young families. They all go to the big church that has all the children's and student stuff." "We don't have the money or the people the other churches have." Bestselling author Thom S. Rainer (I Am a Church Member, Autopsy of a Deceased Church) has heard comments like these hundreds, if not thousands, of times. They are statements of hopelessness. They are statements of despair. They are statements of defeat. Church leaders don't want to feel this way. They desire to break out of the mediocrity of the same, lame, and tame existence of their churches. They want their churches to make a difference. There is hope. God's hope. God's possibilities. 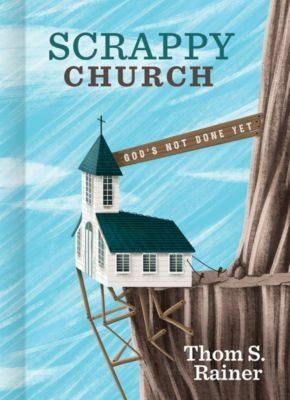 What does a scrappy church look like? Let's take a look together.